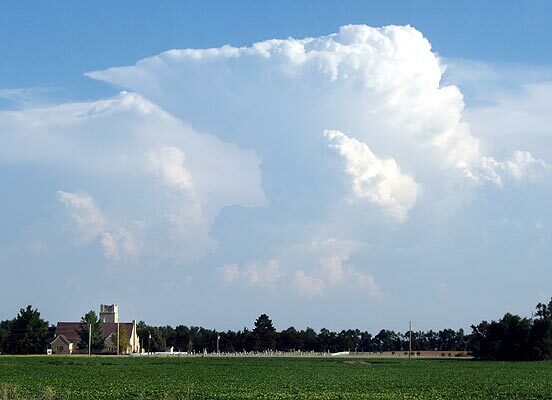 An anvil cloud is seen over St Paul's Lutheran church and the adjacent cemetery and fields, south of Haven, KS. 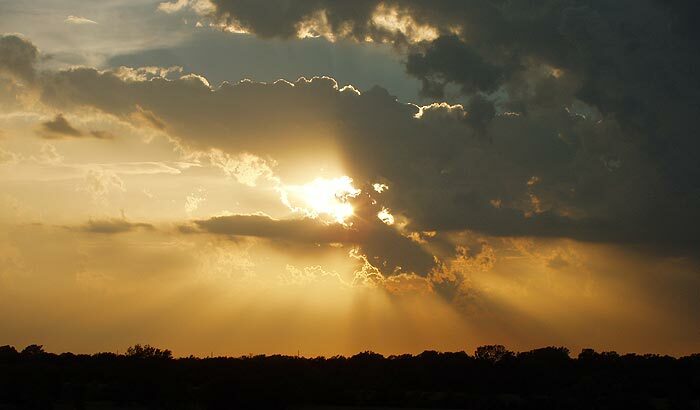 One of the better aspects of travel within Kansas is the panoramic view one often has of the sky. Sarah, I believe you intended to comment on the 844 post. If you see this, please let me know if you need a better quality copy of the picture. Reed was a nice guy; he sure added to the experience of 844.